If you are new to the village, or have been here a lifetime but have never well-dressed, you are welcome to get involved – be it petalling or lifting, drawing or dunking (the boards), mixing clay or colour. Give Peter Pimm a call on 07977 451339. 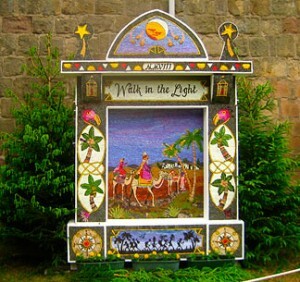 For more information go to the Youlgrave welldressers own site. This link gives a record of all the well dressings since 2000 and their positions.